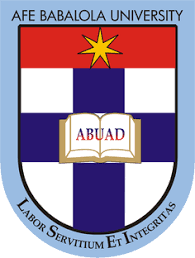 Applications are invited from suitably qualified candidates for admission into the Afe Babalola University (ABUAD) Pre-Degree and Degree foundation (JUPEB) programmes for the 2018/2019 academic year. The Pre-degree Programme offers a unique opportunity to students who intend to further their studies at Afe Babalola University Ado Ekiti (ABUAD). Through the programme, they are intensively prepared for the Unified Tertiary Matriculation Examination (UTME). The pre-degree programme exempts our students from the POST-UTME of Afe Babalola University. It has served as a gateway for students who have long been waiting for university admission. The transition rate to the university has been between 95%-98% since inception. Candidates who wrote ABUAD post-utme and were not admitted enjoy the benefit of AUTOMATIC ADMISSION directly from the University. Duration is 9 months.